“This degree teaches the quality of mercy; that it is a spirit of compassion and a tenderness of heart which dispose us to overlook differences between people." 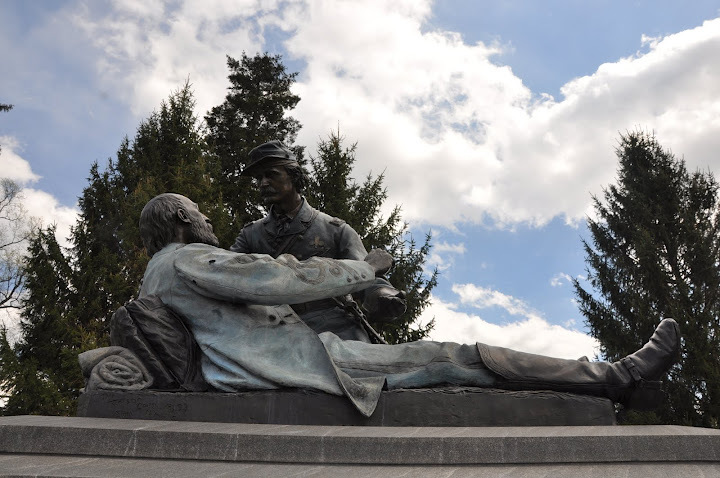 The 150th anniversary of the U.S. Civil war is underway. The Civil War is by any measure one of the darkest times in American history. This was a conflict of North versus South, brother versus brother and friend versus friend. This extraordinary piece of art by renowned artist Ron Tunison tells the story of Confederate Brigadier General Lewis Addison Armistead and Union Captain Henry Harrison Bingham. Armistead was severely wounded at Cemetery Ridge at Gettysburg. Bingham heard Armistead’s cries for help and came to his aid. Bingham worked for Union General Winfield Scott Hancock who was a close friend of Armistead’s before the Civil War broke out. Armistead told Bingham of his close relationship with Hancock and entrusted Bingham with his personal effects to deliver to Hancock. 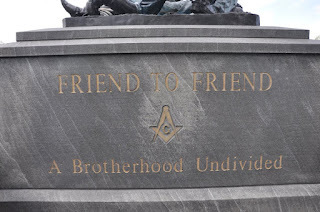 The statue illustrates Armistead giving Bingham his watch, but more importantly demonstrates that Masonic value of brotherly love. Even in the darkest hours, brothers found their trust in one another. 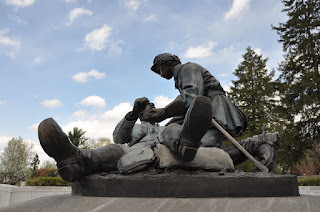 If you visit Gettysburg, take time to visit this memorial. It is located in the Gettysburg National Cemetery annex. 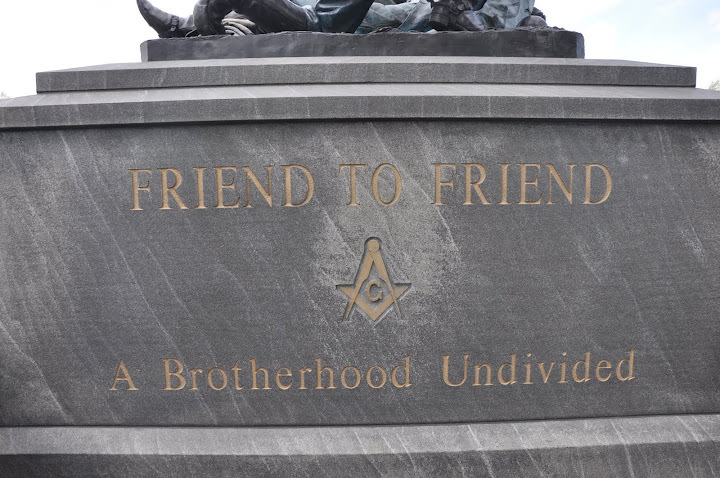 This memorial is the only one in the National Park Service system that was designed, built and maintained by a private organization - the Grand Lodge of Free and Accepted Masons of Pennsylvania.